Due to exceptionally high demand - we have reluctantly had to close the Waiting List for children aged between 4 and 7 years inclusive, until further notice. Club Coach Calum ran in the London Marathon and finished in the highly creditable time of 4 hours 30 minutes. Calum was running for the charity 'Mind' and has expressed his sincere appreciation and gratitude for the sponsorship given by members of the Club - and the all around support shown to him in his quest to raise funds for this wonderful charity. The venture raised in excess of £2400 for the 'Mind' Charity - a fantastic achievement. Former Club gymnast and Coach completes amazing endurance feat for Charity. Former Club gymnast and coach Amy Ennis doesn't believe in doing anything the easy way. 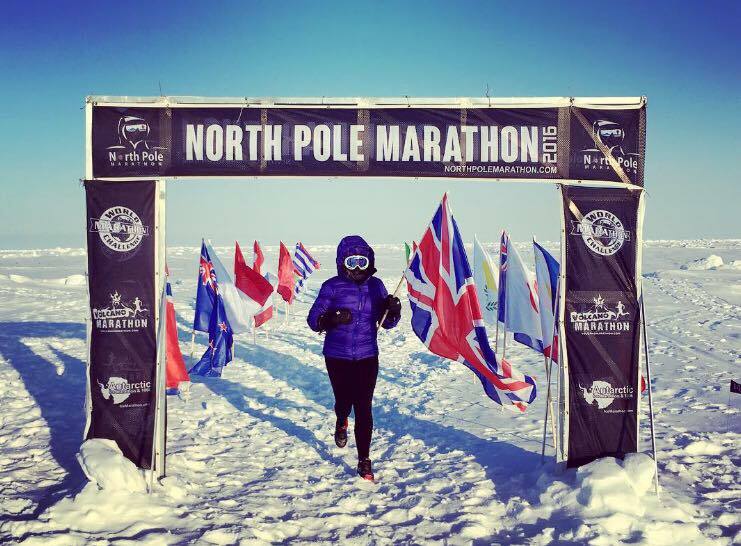 Testament to this is her latest venture - THE NORTH POLE MARATHON !! After a week of frustration, caused by flight cancellations and other administrative obstacles, Amy finally got to undertake her quest, with spectacular success. ........Started the marathon just after 5pm yesterday and finally finished 8:35 hours later. It was long and tough but worth it and I have met some amazing people. I even got back to some more donations which have pushed me other to 101% of my fundraising target, thank you to everyone who had sponsored me! Amy completed this adventure to raise funds for Demelza House, a Children's Hospice based in Eltham, London. The Club is immeasurably proud of our association with Amy - she is an inspiration to us all. Well Done Amy. The Club has been fundraising over the past few weeks in a bid to raise money for the Charity 'Mind'. 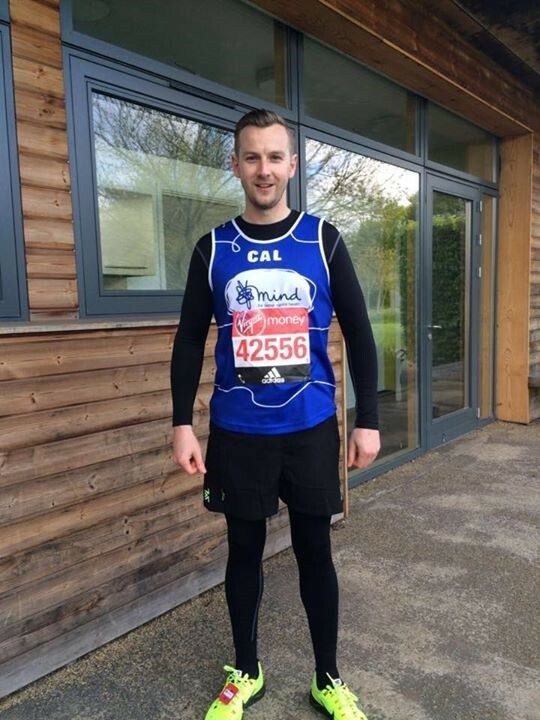 Calum, one of our Coaches, is running the London Marathon on their behalf. We held a Fun Afternoon in the gym and raised £160. In the run up to Easter we held a 'Family Easter Egg' Raffle. The winner was Seren Edwards, Green Ticket, Number 363. The amount raised through the raffle was £159.76p. To put the icing on the cake, we were given £220 in personal donations! Thank you all so much for the fantastic generosity and support of the various events, in support of Mind. (Left to Right) Bryony, Alice and Antonia. When a gymnast finishes their gymnastics career and heads off to university, they carry with them several physical and mental attributes that hold them in great stead for entering new sports. 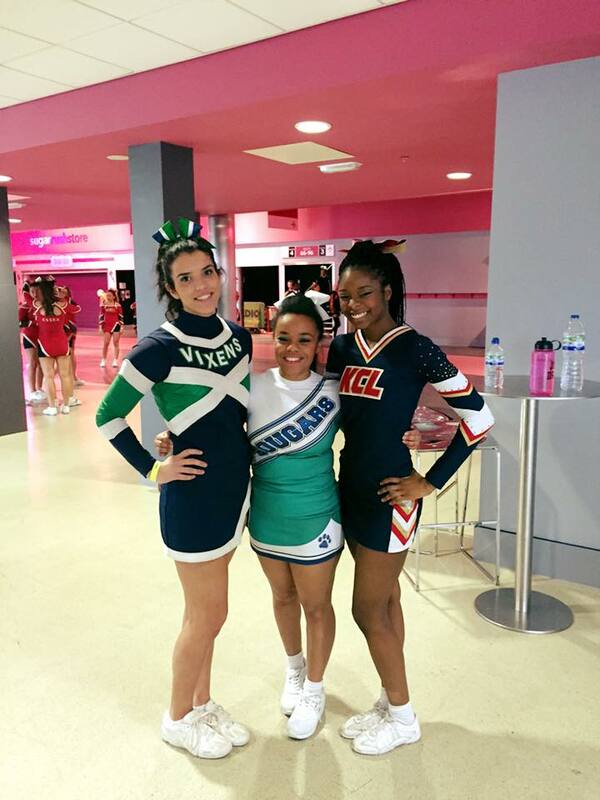 This has most definitely been the case for three of our former gymnasts in Bryony Gill, Alice Davidson and Antonia Patterson, who although attending different universities, have each chosen Cheerleading as their new sport. Bryony attends Edinburgh University and is co-Captain of their Vixens Cheerleading Team. Alice attends Cambridge University and is a member of their Cougars Cheerleading Team. Antonia attends King's College London and is a member of their Lions Cheerleading Team. All three participated with their Teams over the weekend of 20th & 21st February at the 'Future Cheer' University National Championships, held in the Genting Arena, Birmingham. Amazingly, Bryony's Team repeated their outstanding performances of last year and again succeeded as both National and Grand Champions. Considering there were 43 other teams participating, this is quite some achievement. Here at Ladywell Gym Club, we are always interested in the achievements and feats of our alumni, and to say we are really proud of the achievements of these three young women would be a massive understatement, to say the least. One of the highlights of the Club year is always the Annual Awards Evening. 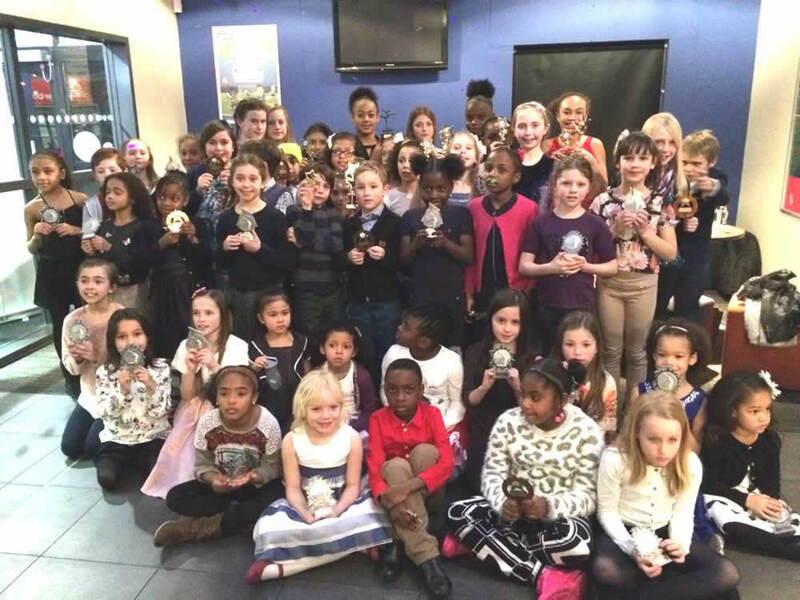 On this special night, those gymnasts who have worked hard throughout the previous year are rewarded for their efforts across the various categories. There is always a generous gathering of friends and family present to witness the gymnasts receiving their awards; and this year - for the second year in succession - we sold all the available tickets within days of them going on sale. Below is a list of those who received awards on the night and a photograph of many of the winners. A huge WELL DONE to everyone who received an Award - at Ladywell, hard work ALWAYS pays.